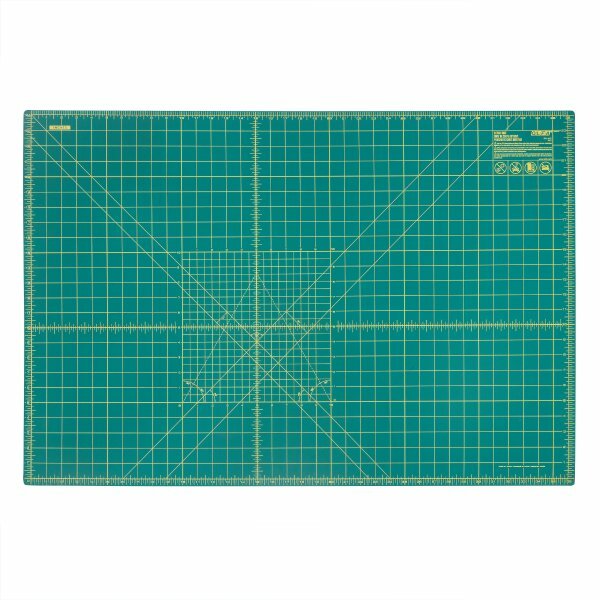 There are a variety of cutting mat sizes and shapes, from travel size to full table size. The mat I like the best is one that has the easiest to read grid lines, lines spaced one-inch apart and also marked with 1/8″, 1/4″, 1/2″ and 1″ increments. I also prefer a mat that is self-healing because it reseals rotary blade cuts. For OLFA a self-healing mat also helps to extend the life of the cutting mat and rotary cutter blade. That’s a cost savings for me. 35” x 70” which is permanently placed on the cutting table in my studio. I find this mat is the most convenient when I’m cutting long border strips. 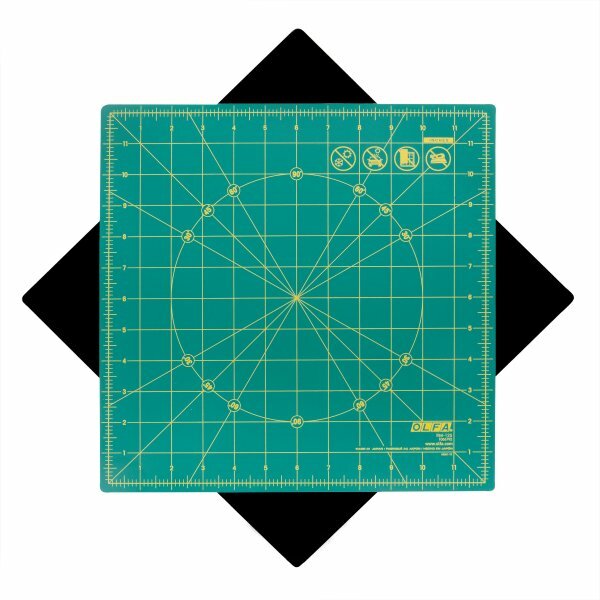 Rotating Cutting Mat: The one-piece rotating mat is relatively new to the quilting community. It has a non-slip, stationary bottom layer with an interlocking top cutting mat that rotates 360 degrees. It’s perfect for cutting squares, triangles, diamonds, circles or any shape that requires turning to cut multiple sides. 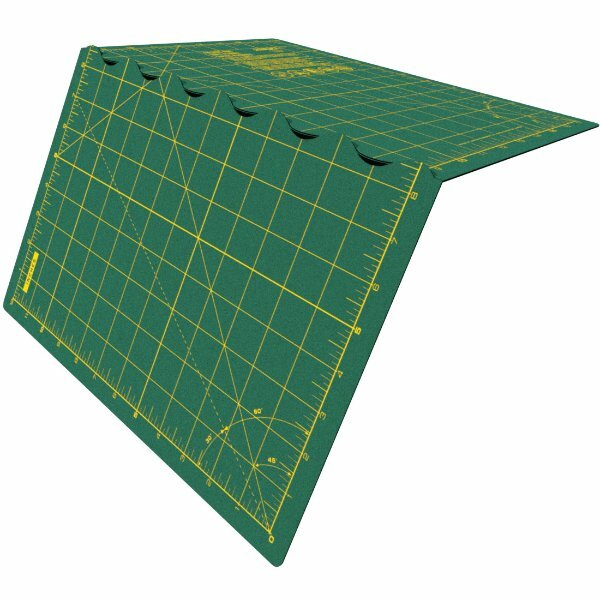 Folding Cutting Mat: This mat is all about convenience, with the features of a regular rectangular mat. It’s full size but if you have just a small space or small-size cuts, it folds to a perfect size for that too. A folding mat is convenient for travel or storage, and ideal for classes or retreats.